Millions of dollars stolen from the people of Nigeria by a former dictator was seized by the U.S. -- in the largest action of this kind ever taken by the Department of Justice. More than $458 million of assets laundered through the U.S. and placed in accounts located in France and the Bailiwick of Jersey have been frozen, DOJ said Wednesday. Accounts in the United Kingdom, which are expected to contain an additional $100 million, have also been frozen. The exact amount in the accounts has yet to be determined. The assets were allegedly taken from the Nigerian government by General Sani Abacha, who served as the country's President from 1993 to 1998, when he died. 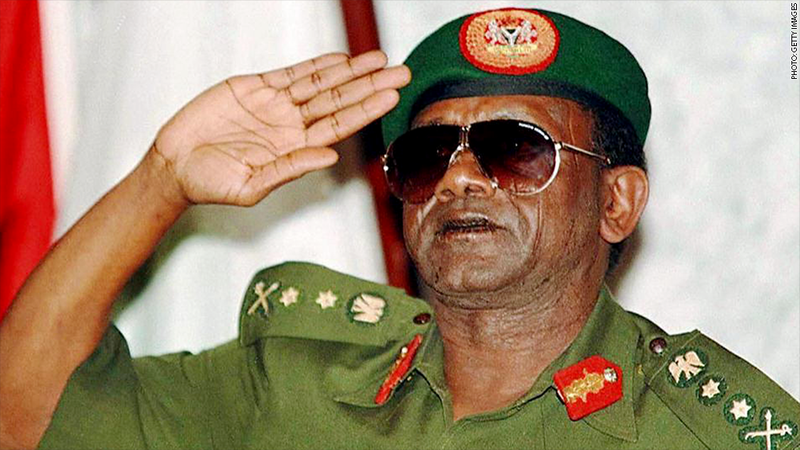 Abacha and his conspirators allegedly laundered the money by buying American bonds and moving them to accounts overseas through U.S. financial institutions. Related: Ex-employee says Madoff "told me what to do"
"General Abacha was one of the most notorious kleptocrats in memory, who embezzled billions from the people of Nigeria while millions lived in poverty," said acting Assistant Attorney General Mythili Raman in a release. The schemes occurred in the 1990s and continued through 2011. The case was brought under the Justice Department's Kleptocracy Asset Recovery Initiative, a program that began in 2010.